In his prizewinning Mountain Fires: The Red Army's Three-Year War in South China, 1934-1938, Gregor Benton traced the fate of the Communist rear guard that stayed behind when the Red Army set off on the Long March. After three bloody years, the survivors regrouped as the New Fourth Army, which later helped to drive the Nationalists from the mainland. In this sequel to Mountain Fires, Benton describes the first three years of this army, and its triangular war with the Nationalists and the Japanese. Like the Three-Year War from which it stemmed, the New Fourth Army was for many years neglected by historians, mainly because of the absence from it of Mao Zedong, around whom the story of the Chinese Revolution was largely written until his death in 1976. 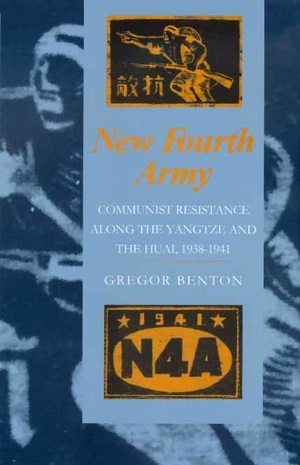 With the downgrading of the Mao cult and the return of some power to the regions (where New Fourth Army veterans held power) in the 1980s, new sources on the New Fourth Army became available. This study, which combines a thematic and a narrative approach, makes exhaustive use of these and other sources to explain the original features of this youthful army, which was no outgrowth or faithful copy of Mao's senior and better-known Eighth Route Army but a body with its own origins and history, and which fought its war in a quite different political, military, and social setting. Gregor Benton is Professor of Chinese Studies at the University of Leeds, and author of Mountain Fires: The Red Army's Three-Year War in South China, 1934-1938 (California, 1992), winner of the Joseph Levenson Prize.